All-U-Can-(See) at the Senior Buffet | Who's Your Danny? One of my favorite places to eat is the neighborhood Furr’s Cafeteria. Oddly enough, it’s not the food that attracts me to this eerie establishment. I love to watch people. It’s not a hobby, it’s an obsession. Furr’s cafeteria is a virtual crack house for people-watchers like me. Before I go on, please know this. I love old people. I actually hope to be an old person, myself, some day. When that day comes, feel free to make fun of me. I won’t care, because I guarantee you’ll find me and my Jazzy Chair at Furr’s enjoying a slice of Millionaire Pie. You have to get there early. I mean really early. I have a philosophy on why the elderly do EVERYTHING earlier as they age. It has to do with how high they wear their pants. At seventy years of age, or so, the pants are hiked up around the bellybutton. At this time, the senior starts waking up at 5 am, eating lunch at 11 am, dinner (now referred to as supper) at 4:45, and off to bed at 8:30. Eighty-something gentlemen wear their pants 4-5 inches above the navel and the time shift happens yet again. Up at 4, lunch at 10:15, supper at 3:30, nighty-night at 7. Back to my original point…get there early. 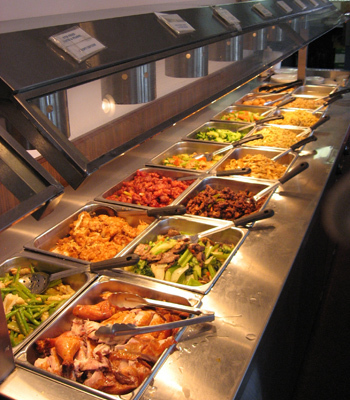 Tip #1: Get a table that has an unobstructed view of as much of the buffet line as possible. If you are with a friend, race inside, even if you have to sit on the same side of the table. It will be worth it. Tip #2: Take a moment and appreciate the Muzak playing. It is the worst of the worst. If it is a satellite channel, then it’s called “Doo-Doo Music from 1977-1989 Channel”. The last time I was there I heard this back-to-back-to-back triple play. “Dog Gone Girl is Mine” Micheal Jackson/Paul McCartney, “Heartbeat” Don (Miami Vice) Johnson, and “She’s Like the Wind” Patrick Swayze. I can’t believe I made it out alive. Walkers/Wheelchairs – Zero points. If you don’t see one of these, you’re at the wrong restaurant. Derby Hat – See Walkers/Wheelchairs. Ranch Dressing on Someone’s Shirt – First, make sure it’s Ranch, if it is, you win 2 points. You’re not going to believe how many points you’re going to rack up. All of this thinking has worn me out. It’s getting late and tomorrow is Fish Stick day.